1 Side Vinyl Cut applied on White Coroplast 1/8"
Corrugated plastic, also known by the brand name Coroplast, is a tough, waterproof plastic sign material which resembles the appearance of “plastic cardboard”. The hollow-fluted design of Coroplast makes this sign material extremely lightweight, easy to handle and simple to display in a number of ways. The lightweight properties of Coroplast make it extremely versatile, and have made it a popular alternative to rigid Acrylic Plastic Signs and PVC Plastic Signs. Coroplast signs are also commonly preferred over poster board and foam core mounting board. Foam core is not waterproof and the surface is much more sensitive to damage than corrugated plastic. • They have a slightly ribbed surface that looks like "plastic cardboard". 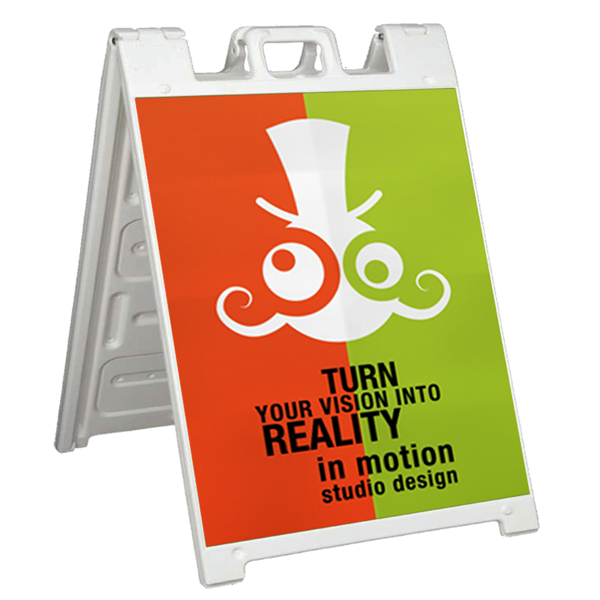 • They're ideal for short term outdoor use (Good for 1-day event signs and last up to 2 years). • They'll last for decades indoors. • They are completely waterproof. 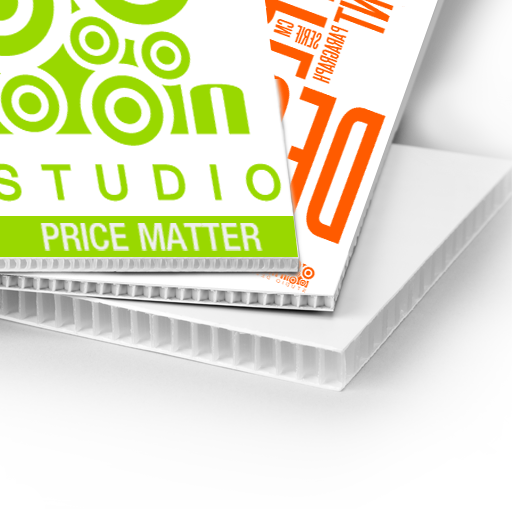 • The standard 3/16" thickness (4mm) feels similar to stiff cardboard. • Coroplast is readily available in a highly rigid, 1/2" thickness. • They have high tolerance for cold and hot weather temperature extremes. • Coroplast plastic signs can be one-sided or two-sided. • They are easy to display and mount. • Coroplast serves as a popular alternative to foam core mounting board Plus, custom Coroplast signs are highly versatile. • Coroplast custom signs can be made any size you want. 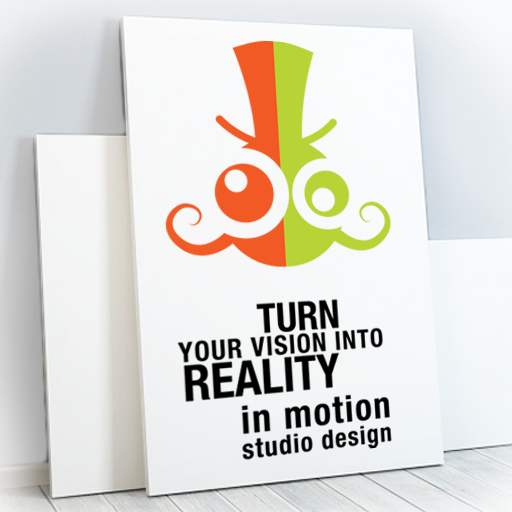 • Any design, artwork, photo or logo can be used. What are some common uses for Coroplast corrugated plastic signs?" How long do Coroplast plastic signs last? Corrugated plastic signs are not as flexible as the vinyl banner material or as rigid as solid plastic sheets. Although custom corrugated plastic signs are commonly used outdoors, high winds can damage the corrugated sign material. Corrugated plastic signs are intended for both interior signs and short term outdoor signage. Coroplast signs used outdoors last up to 2 years, while indoor Coroplast signage can last for decades. Custom corrugated plastic, also known by the brand name Coroplast, is an extremely versatile, extruded twin-wall plastic sheet. It is waterproof, durable and can be cut to create collapsible signage. Corrugated plastic signs are an excellent substitute for poster board or card stock for interior applications. Its surface is not affected by most oils, solvents or water, and cleans easily. Coroplast plastic signs provide a cost effective way to produce custom corrugated plastic yard signs, and custom real estate signs. Easily secured to windows, doors or walls, exterior or interior surfaces corrugated plastic signs. When do plastic signs that look like “plastic cardboard” become a good choice?"